The guppy in the pet store ripples through the water as he swims, so Carlos names him Ripley. 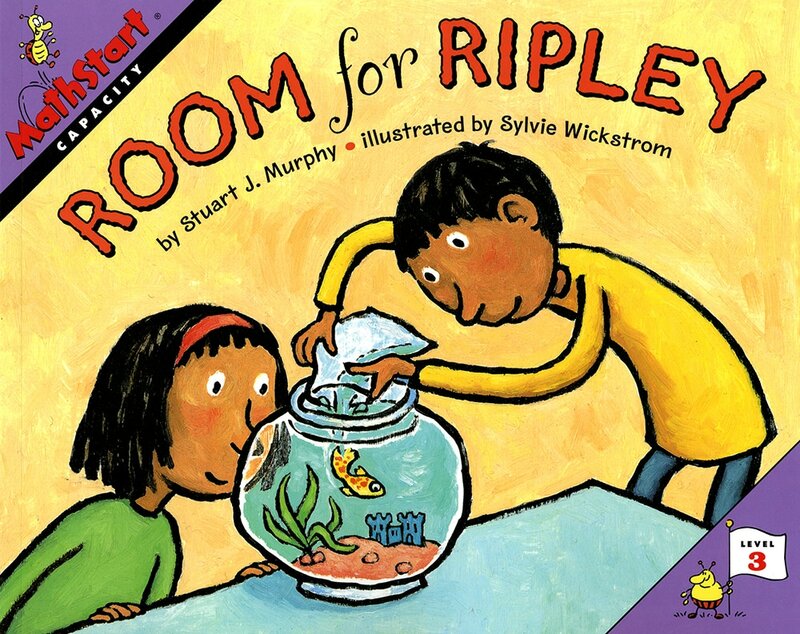 Carlos wants to buy Ripley, though first he needs to set up a fish bowl at home with a little help from big sister Ana. He pours a cup of water into the bowl, but it isn't nearly enough. Then another cup, which makes a pint. But he needs more. How many pints make a quart? How many quarts in a half-gallon? In a gallon? It sure takes a lot of water to keep a little fish happy! Children need to understand the relationships between the various units used to measure liquid capacity.